Welcome to Waring Place, a private gated community with LOW HOA dues! 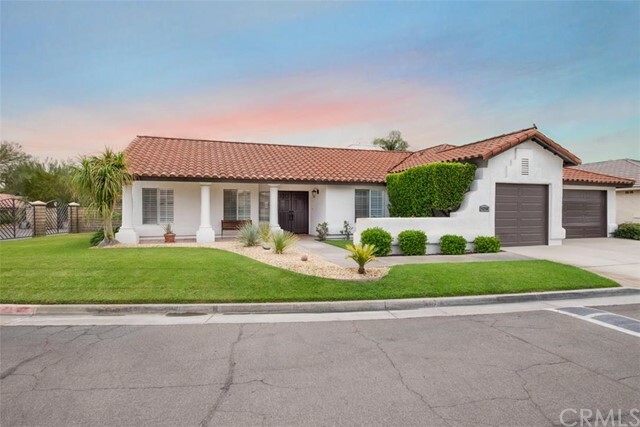 Secluded on an expansive 8,276 sq ft corner lot offering a private front and back yard with beautiful Mountainous Views! 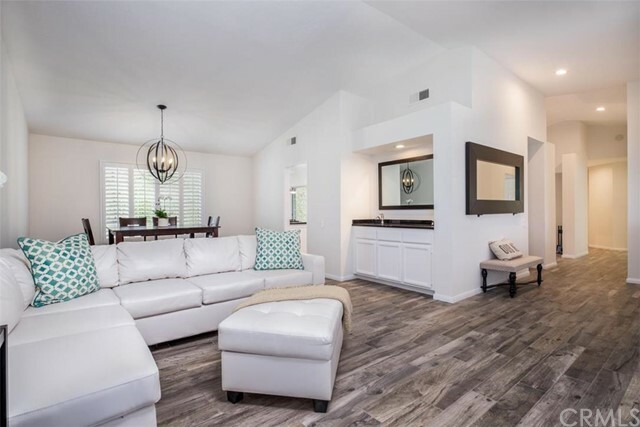 Tastefully remodeled with designer finishes featuring Italian porcelain wood floors throughout, stainless steel appliances in the kitchen with black granite counter tops and a octagon marble tile backslash. Desirable open living concept with vaulted ceilings in both living and dining, along with a cozy breakfast nook off the kitchen bar and a second living room to nestle by a gas burning fireplace. Granite countertops in all three bathrooms with oversized master bathtub and beautiful french doors off the master bedroom leading out onto the wrap around pool deck with side yard where you can dip in your very own private heated pool and spa enjoying The Desert Dream after a long day or your next vacation away from home. Separate inside laundry room and plenty of parking with three car garage and driveway. Fully furnished with all the interior finishes you could ask for – just bring your suitcase! This is a hidden gem and an absolute must see!